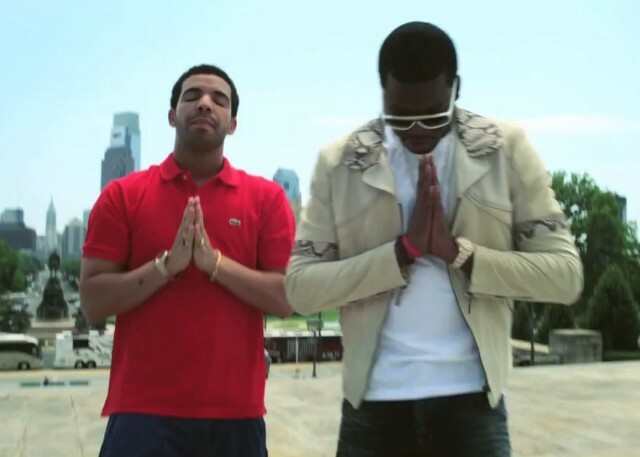 In what has to be a nod to Ghostface Killah’s “Cherchez La Ghost” video, Meek Mill starts his video for “Amen,” the summertime-anthem standout from his Dreamchasers 2 mixtape, waking up after what appears to be a very fun party. Most of the video, though, consists of celebratory footage from Drake’s Club Paradise tour, with that tour’s phalanx of openers making multiple appearances and Drake himself stealing every scene he’s in. DRE Films directs. Watch it and download the track below. Download Dreamchasers 2 for free here.